Benefits of investing in quality PPE and WHS systems include decreased likelihood of worker injury, increased staff productivity, morale and retention rates, and peace of mind that you have done all that is necessary to protect your workers. A cheaper PPE brand may – or may not – save you a few dollars, however it may also not be suitable or rated for the task and could end up injuring a worker who thinks they have taken the necessary steps to protect themselves. Furthermore, cheaper brands often also compromise on fit and comfort which is one of the most important elements of ensuring PPE is worn and does its job. Budget PPE may not be offered in as many sizes, or have methods to adjust the size, potentially rendering the PPE a catching hazard or so uncomfortable that it is no worn at all. Or it may not have appropriate ventilation or be constructed of breathable material, again meaning it may be uncomfortable and the worker is more likely to not wear it at all. 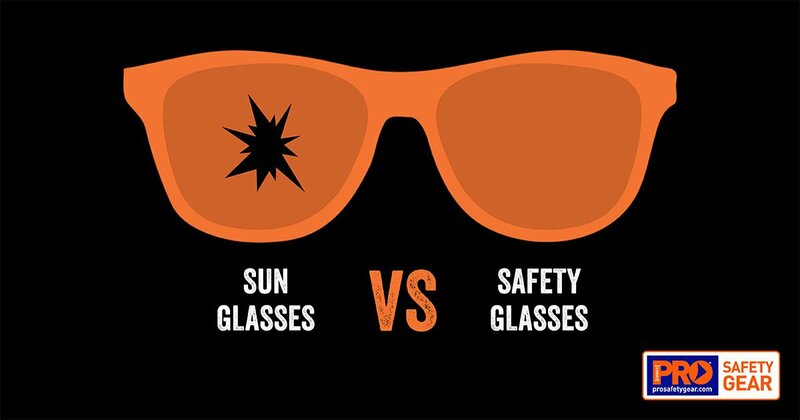 For safety eyewear, high quality anti-fog coatings and 99.9% UV protection are other characteristics often not found on budget brands and are further examples of how premium PPE is a worthy investment. The worker who takes off his budget eyewear because it has fogged up and they cannot see is all too common. And given that $6,800 is the approximate average cost to an employer for an employee’s work-related injury or illness, the benefits of quality PPE – even if it does cost a little more – are obvious. While PPE in Australia should adhere to Australian safety standards, stories of non-compliant PPE are also common. It is wise to choose certified PPE that has been tested by an independent body to ensure it complies with Australian Standards. Certified PPE comes with an assurance that that independent body, such as SAI Global, is verifying performance levels of the product to ensure that it is and continues to offer the best possible protection. This is as opposed to a product that the manufacturer self-tests and self-declares as compliant to Australian Standards. In this instance, there is no guarantee of compliance or regular product testing over the years. Look for the clearly marked certification stamp, such as the SAI Global 5 ticks logo. Numerous studies have shown that investing in workplace health and safety provide significant return on investment. Workplaces that invest in health and wellbeing programs will receive almost 600% ROI with $5.81 back for every $1 spent. Common issues for Australian workers include poor diet, smoking, alcohol consumption and a lack of physical exercise. Employers shouldn’t forget worker mental health either; it is now a greater cause of long-term absenteeism than illness or injury. According to 2014 research, the return on investment into mental health is greatest in the mining industry, at $5.80 for every $1 spent, while manufacturing came in at $3.50 and construction at $2.50. Additionally, when employees see you investing in their safety through high-quality PPE and WHS processes, they are more likely to show dedication to your company seen in higher staff retention rates, improved productivity and reduced absenteeism. This was the case for a Sydney-based business that spent more than $100,000 on improving WHS systems, including investing in new machinery, ventilation and signage. They saw greatly increased productivity, staff retention and workplace morale. Having a working culture that emphasises the importance of worker safety is also going to improve brand image and offer a competitive edge when pitching for new business. By taking an approach that puts safety first, there are significant financial returns, as well as knowing that you are doing the right thing by your staff and those that rely on them to come home safely every day.